The intersection of West 39th Avenue and Rainbow Boulevard was a blighted area of Kansas City that had seen no development for over ten years. This highly distressed area’s poverty rate was double the state’s rate. 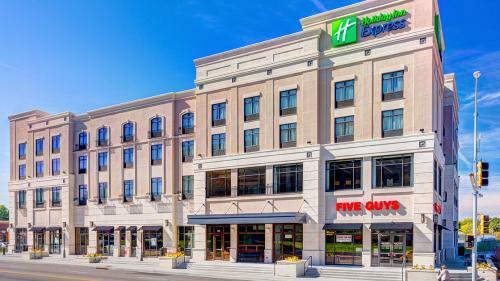 However, the two largest employers in the area – the university of Kansas Hospital and University of Kansas Medical Center – have experienced significant growth, creating demand for retail, residential, and lodging facilities. The 39Rainbow development resulted in the creation of 10,000 square feet of retail space and an 83 room hotel within the Kansas University Medical Center neighborhood. The amenities of 39Rainbow serve as a connection between the research and medical uses and the low-income community that currently encompasses the area. The program received strong support from the University and local nonprofits. 39Rainbow is truly a catalytic project, replacing blight with job-creating opportunities that will hopefully attract other investments to the area. Central Bank of Kansas City participated in the 39Rainbow development as a co-allocatee of New Markets Tax Credits. By combining its tax credits with NCIF’s, the bank was able to realize a truly catalytic project in its low-income target community. The bank was also able to generate fee-based income, supporting the sustainability of its mission and operations.